Between three children, there are 7 therapists. So there is never a shortage of company at my house. They no longer use the front door and don’t even knock when they walk in through the garage. I like it that way. If they are going to spend more time in my house than my husband, I want them to feel like family. So it was no surprise to me when I received a call after hours from a frantic therapist. She was bewildered and confused. She explained that Bugs renewal of his referral was denied. Strange due to the fact he has had these services for the last four years and his prescribing doctor had just told us we needed to keep up with Bugs therapy services at our appointment only a week before. I told he therapist I would call our insurance first thing in the morning to figure out what is going on. I did just that. Insurance explained to me that Tricare now has a new policy in effect for renewing or obtaining services. Before, a therapist would simply do an observation of the patient and send it into the insurance as proof they still needed services. Based solely on the therapists recommendations, Tricare would approve the renewal. However, due to abuse of that policy, Tricare now requires the doctor AND the therapists to both submit reports. This new policy that was not explained to us resulted in two weeks of missed services and numerous phone calls between the doctor, therapist and insurance to make sure everything was done properly. Tricare/Therapy Thursdays: My Child is Diagnosed with ASD. Now What? When Bug got diagnosed with PDD-NOS I was completely ignorant to the types of therapy that might help him. I of course had heard of ASD and all its components, but I really didn’t know what there was in types of assistance to help them. My misinformation and misunderstanding was there were none. Screaming child…everywhere. Screaming in the house, at the park, in every public location he went to. All his screaming was unintelligible (no, I did not think they were all stupid) because I thought not many of they could actually talk. I thought they went through life in a normal school environment just with the understanding that the child has ASD and there is nothing you can do for them; because there is no cure right? Then I pictured the parents and them crying every night after the child goes to bed because they are beyond tired, worried and stress. They are smelly (the parents not the kids) because they are so busy giving 24 hour attention to the ASD child, they don’t have time to take a shower. So they also have stock in Old Spice and Dove deodorant and their stock portfolio looks amazing. The parents are also so skinny they look like Ethiopian children because their intake of calories isn’t enough compared to the use of calories in a day chasing around an ASD child who can’t speak but sure as heck can run. Lastly, are the siblings. They are druggies, or don’t even live at home because they have run away. If they do live at home, they are never given attention and often are at the receiving end of the abuse from the ASD child, who can’t talk, can run and is violent when he can’t express what he needs; which is all.the.time. After we got home from the doctors I looked at us and our home. No telling when Bug actually got ASD, but we looked average. I was over-weight, personally well taken care of. Our daughter was happy and healthy as well. Bug could tell us what he needed to a point and our bank account did not reflect income from stocks, since we didn’t even have a portfolio. So I waited. I waited for that shoe to drop. I waited for him to stop talking, for him to start running and for us to wither away to nothingness. But we never did. Instead, Bug was given an IEP and started at a special education preschool. He thrived. He was the only verbal child in his class and because of that he was a amazing model for his peers. The doctors soon wrote prescriptions for therapy and the influx of therapists started entering our homes and our daily lives. I quickly learned what they all did in terms of helping ASD children. However, it took me some time to get it all down. When faced with a new diagnosis, it is always overwhelming, even the second time around. 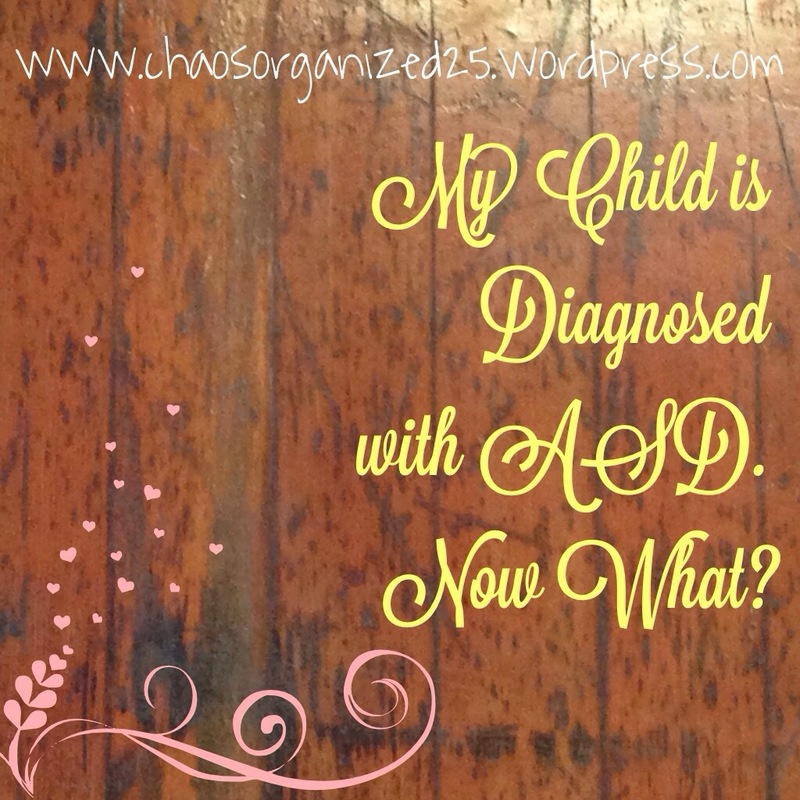 With two ASD children, I felt in control and prepared when handed her diagnosis. But I wasn’t. I was less prepared actually. I quickly feel back onto Bug’s therapists for advice and help. And soon I was maneuvering the road down ASD again like a pro. So I thought I’d share some of the foundations of therapy that are often prescribed with a ASD diagnosis. Remember every child is different. 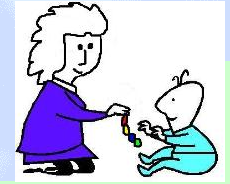 I have two ASD children and besides them both receiving ABA, they receive different services. OT– Occupational Therapists (OT) Autism Speaks describes OT as “brings together cognitive, physical and motor skills. The aim of OT is to enable the individual to gain independence and participate more fully in life”. PT– Psychical Therapists (PT) “focused on any problems with movement that cause functional limitations,” as stated by Autism Speaks. Autism Speaks lists speech – encompasses a variety of techniques and addresses a range of challenges for children with autism. All this information and more can be found by visiting Autism Speaks. 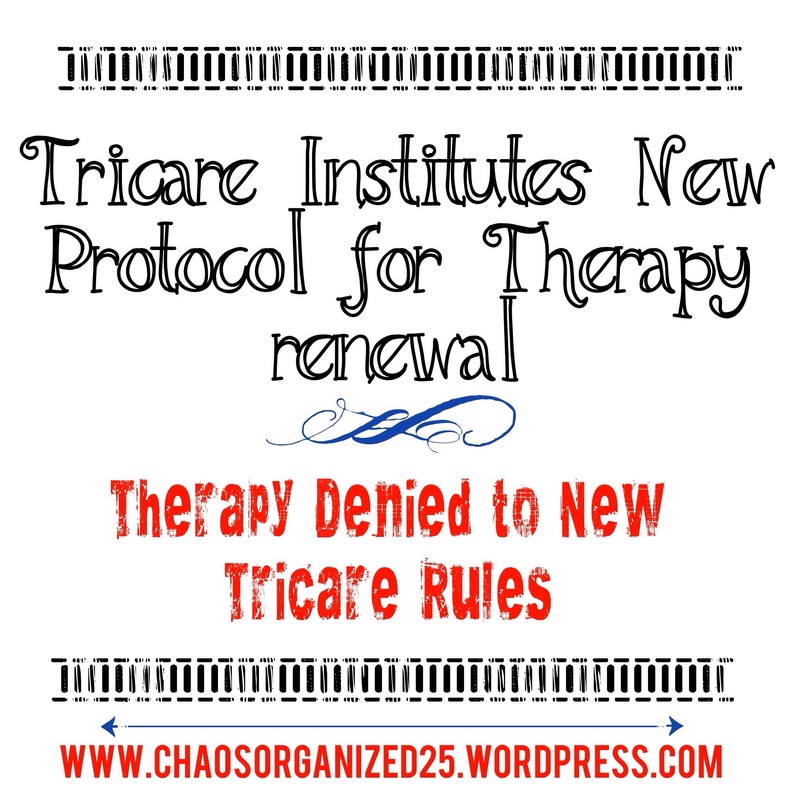 Tricare and Therapy Thursday…OT at home! My two boys are very blessed to receive therapy and support both through our insurance (Tricare/ United Healthcare) and through the schools they attend. My son is in a mainstream Kindergarten class and receives speech and academic support through the special ed. Department, and my younger son attends preschool and has speech and OT through the school. They both also have ABA therapy through our insurance and sometimes their therapists help them at school, sometimes through home sessions. All that said, we move frequently and there are often times huge holes in their therapy/ education while we are getting settled in a new place. During these times, I feel so frustrated because I feel like I don’t know how to help them, to slow down the regression of skills we have worked so hard to attain. 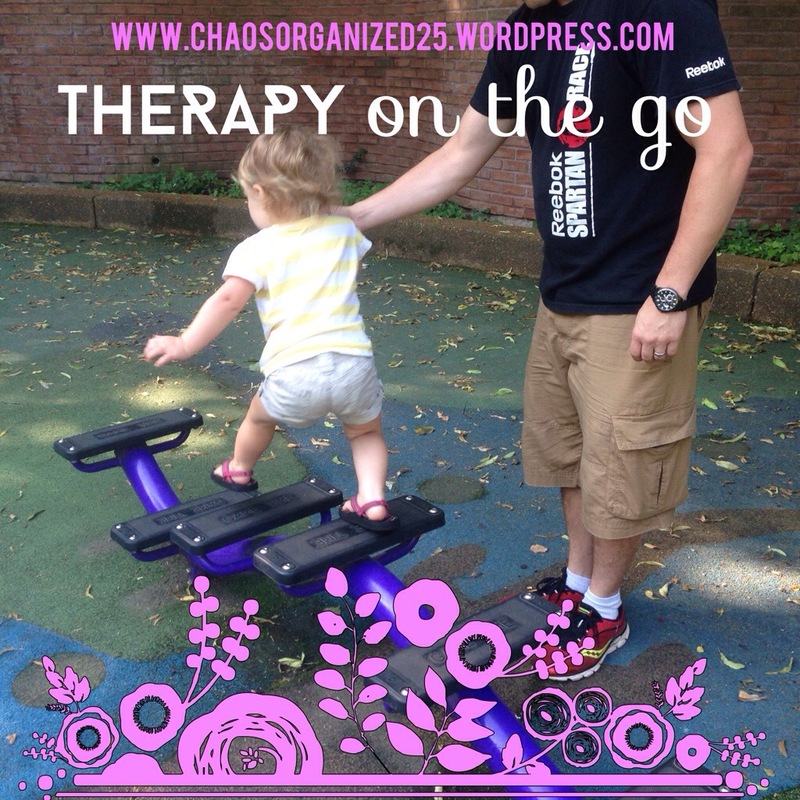 I came across this website, www.therapystreetforkids , and it is chock-full of ideas to support your kiddos’ occupational therapy at home. 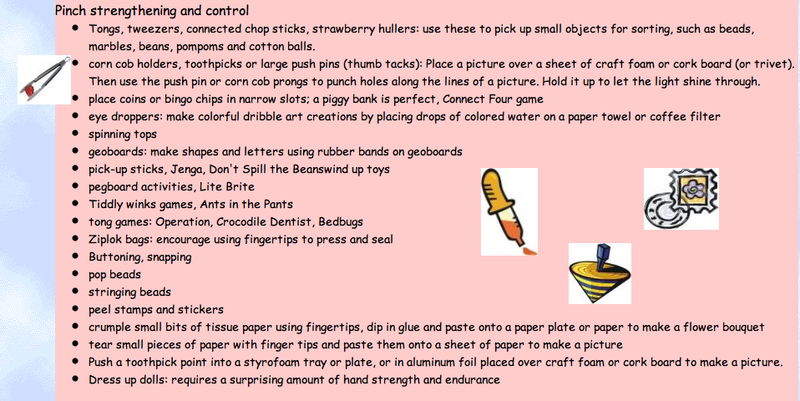 A lot of times the activities use stuff you already have around the house, which is huge. That’s just the tip of the iceberg! 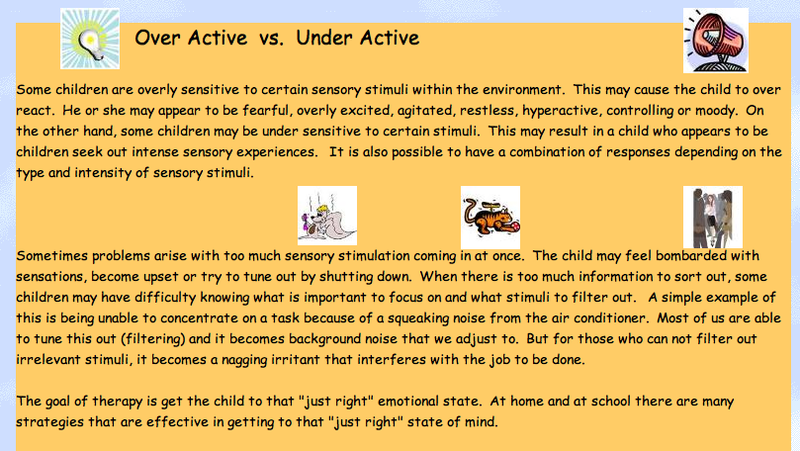 There is so much here, if your child receives OT you should check it out! Another option I wanted to be sure to mention is to ask your child’s therapist for activities to do at home. They are often more than willing to provide some, and you know that they are tailored to your child’s needs and goals.